Robbin and I were pleased to see the fresh calves at the Paregien Ranch, our mature cows already setting up nurseries. Though I have my theories, but exactly how the cows decide which new mother will be the babysitter is still a mystery. And who will replace her while she’s grazing? The cows have broken up into bunches, the most expectant mothers hanging together. Especially vulnerable to coyotes during labor and immediately after the calf is born, struggling to stand and nurse for the first time, each cow depends on the security of the bunch. It’s refreshing, reassuring, and almost inspiring to see such cooperation within a species without a fuss—an example of selflessness it might do well for humans to emulate. Until then, what better way to spend a Sunday. 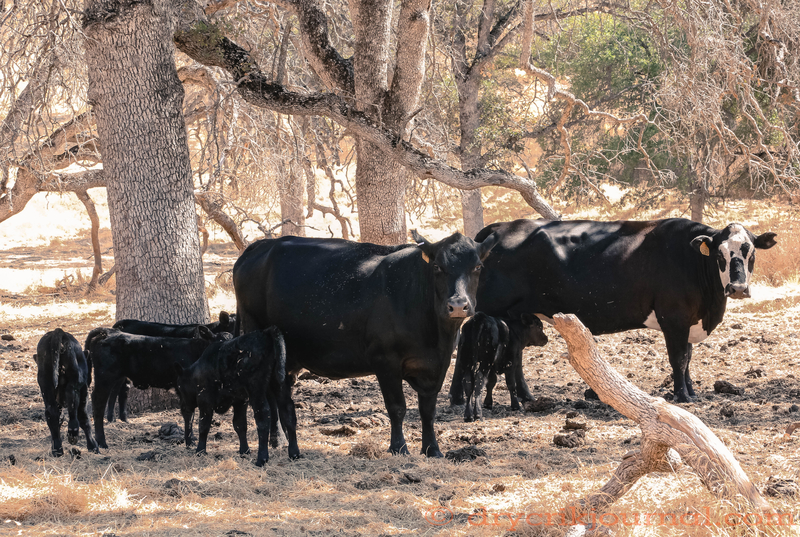 This entry was posted in Photographs, Ranch Journal and tagged Calves, cows, photography, poetry. Bookmark the permalink.